A great combination of 2 ornamental eye catchers for the border or as a freestanding plant in your garden! 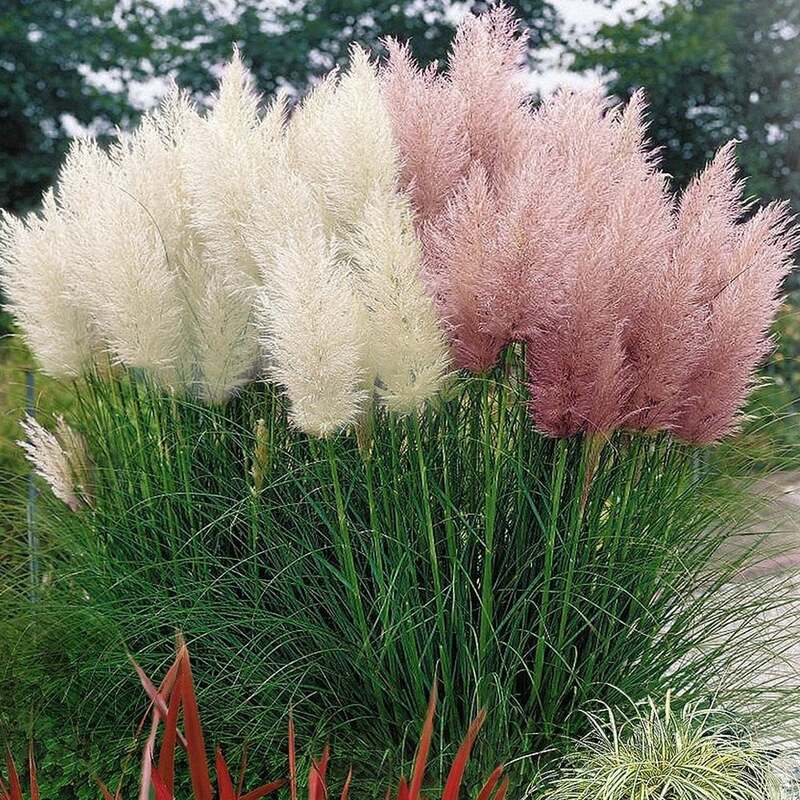 These striking specimens are fast growing evergreen grass blooming with large soft white and pink plumes during late summer lasting well into autumn. Theyre also suitable for large gardens. Their impressive size can reach a height over 2 Metres.